Lucky me, right after my trip to California I took off to Denmark for 10 days. By now, most of you know how I like to travel and over the next few weeks I’ll be highlighting all the great places I ate around Denmark. 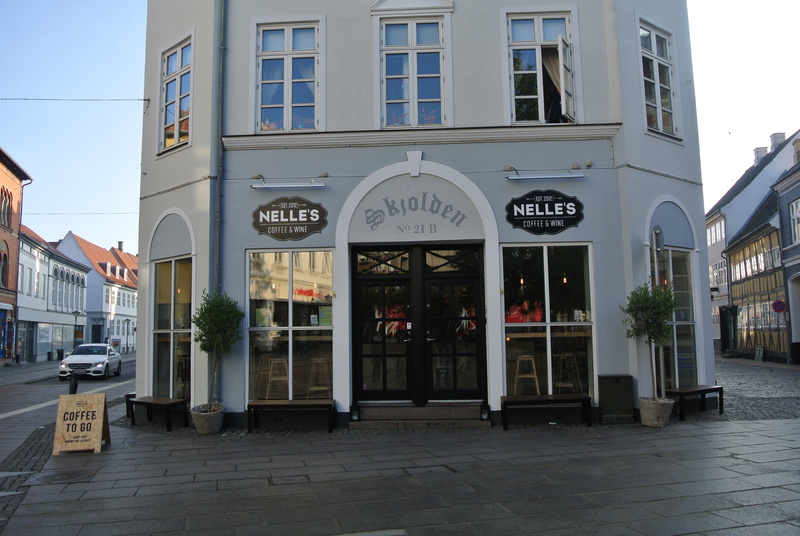 Starting with Nelle’s in the town of Odense. Loved this cute coffee bar in the old part of Odense. 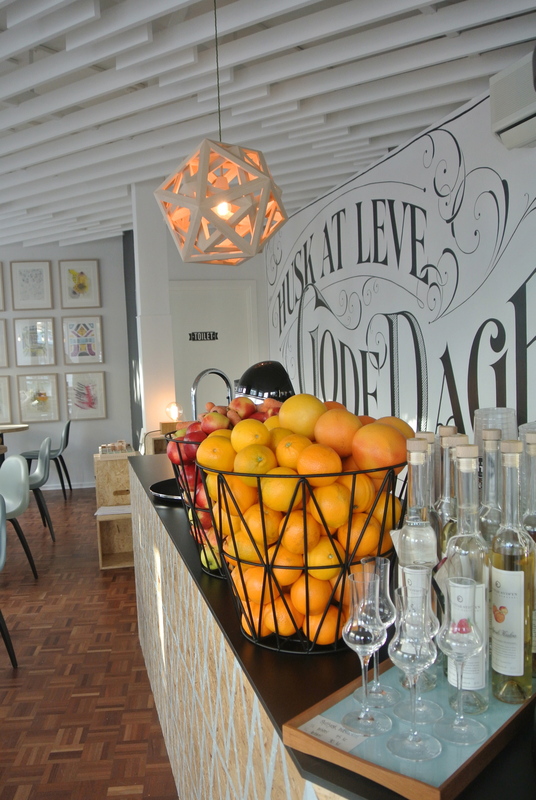 With Denmark’s stylish sensibility, the bar is simplistic with clean lines with white and wood everywhere. 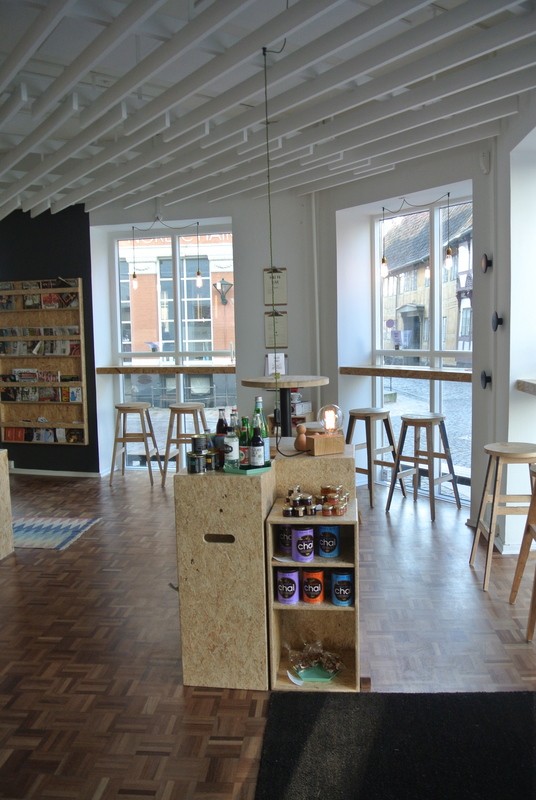 Only the Danes can make plywood look good but best of all, this was where I first tried hindbaersnitter. Nelle’s had a variation of the hindbaersnitter, normally made with some sort of shortbread (at least that’s what I saw in most bakeries), this one had more a ginger snap texture with a raspberry jam filling and topped with royal icing and colourful sprinkles – completely sweet tooth worthy. 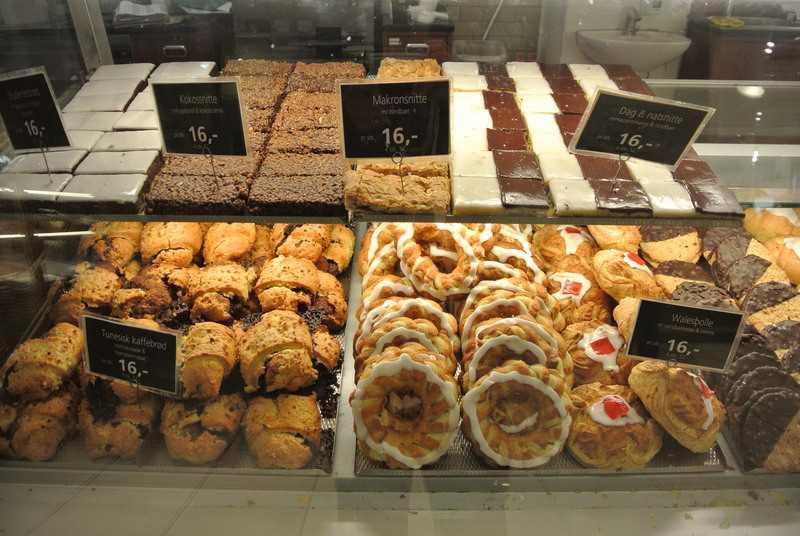 At Bager, a bakery in the city of Aarhus, there was an abundance of pastries to be had. My favourite one here was the ringed twisted pastry decorated with a strip of white royal icing. 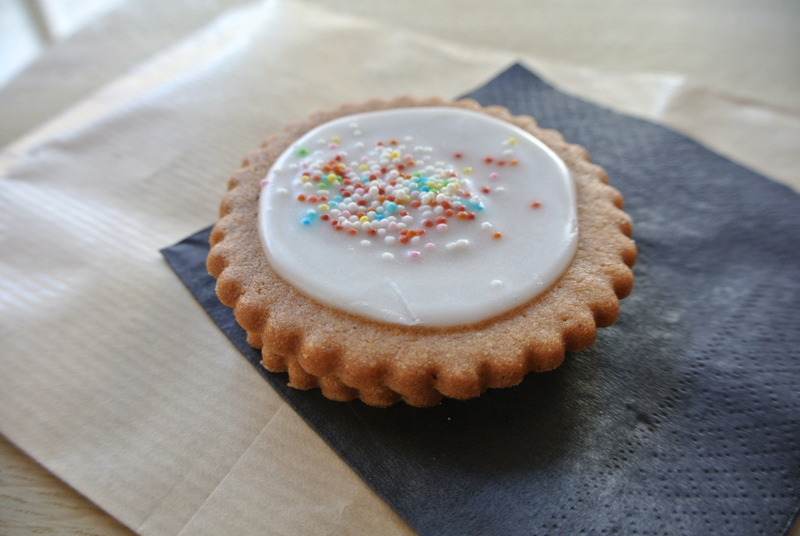 You couldn’t tell by looking at it but the texture was a cross between pie pastry and butter cookie – it was so good, I went back the next morning for another 🙂 What a great introduction to Denmark. 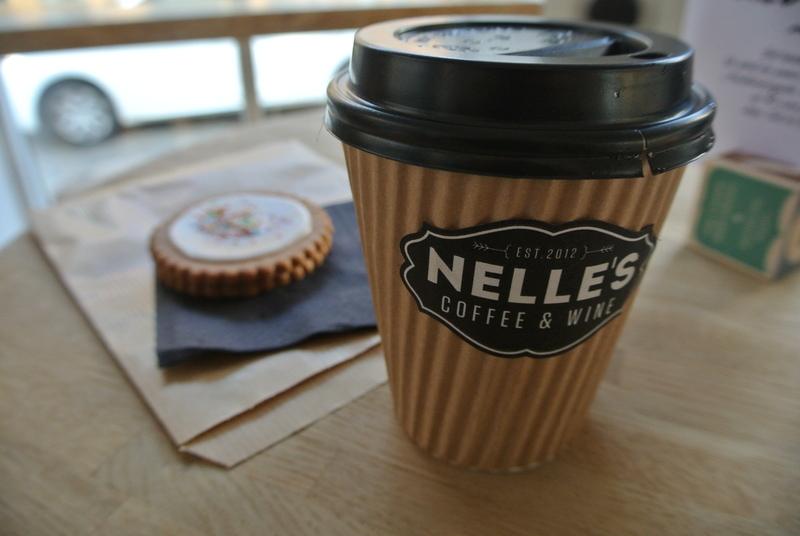 Nelle’s Coffee & Wine Bar. Stylish interior and counter space in Nelle’s. 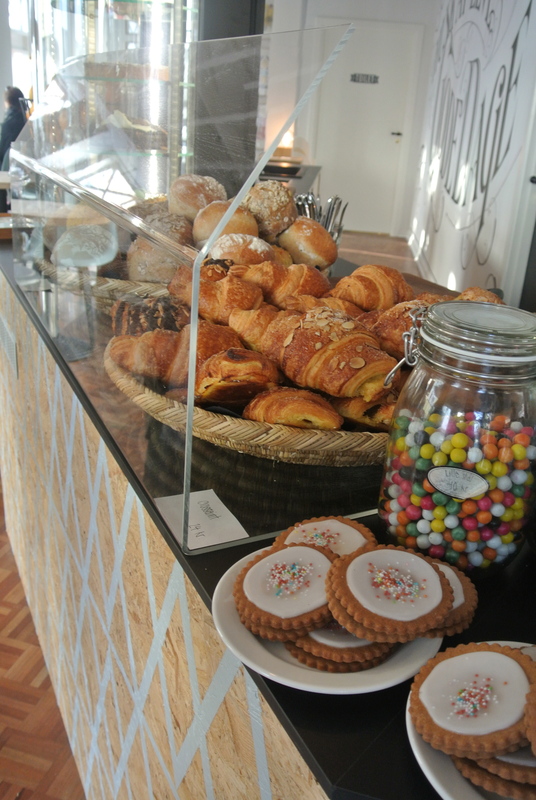 Some of the delicious pastries available at Nelle’s. A danish pastry called hindbaersnitter. 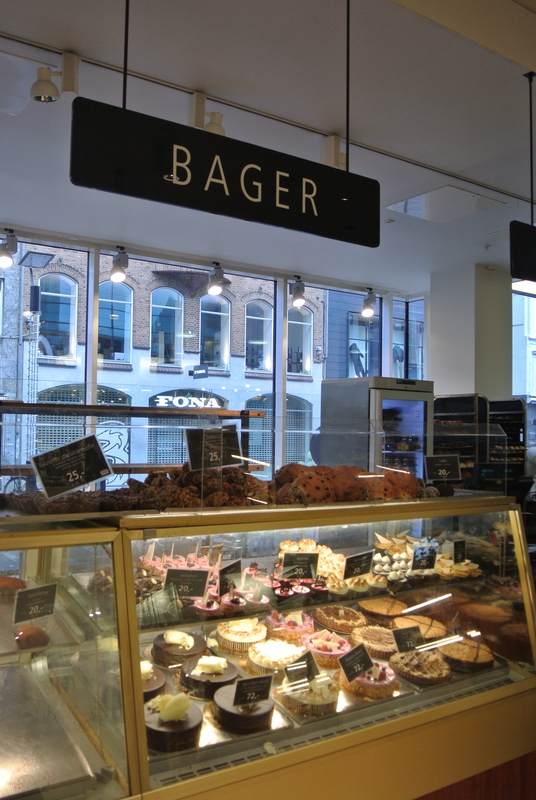 Bager – Baker/Bakery in Danish language. 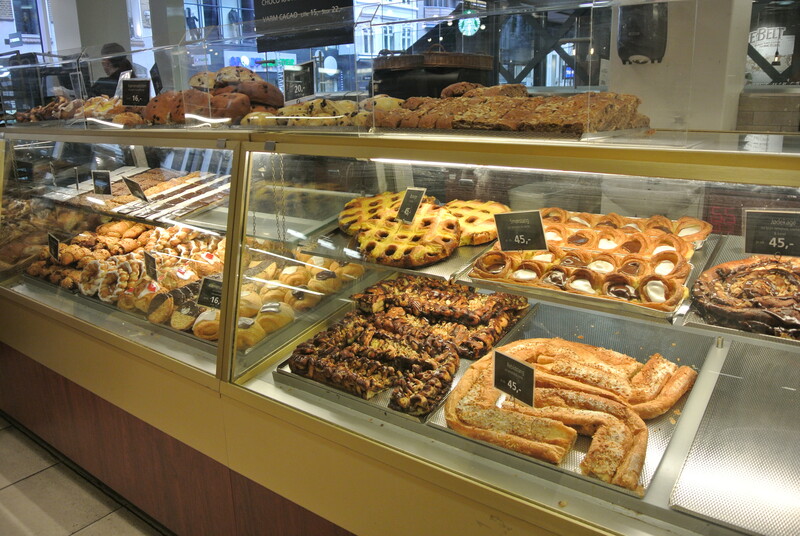 So many pastries to choose from – my favourite, the ringed pastry with white icing. 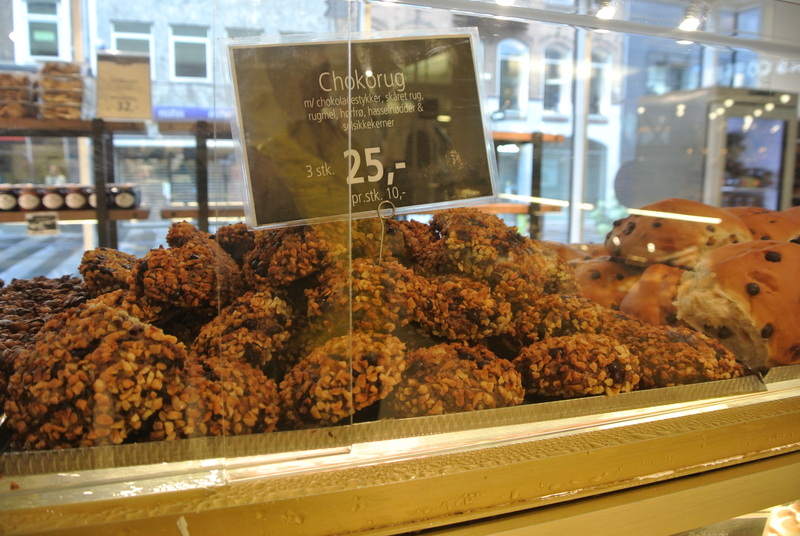 Chokorug – a Danish chocolate bread.